Technology investors, tasting an opportunity to capitalize on the triple threat of malnutrition, resource scarcity and pollution brought on by the increasing globalization and industrialization of food, are investing billions into startup companies pitching alternative sources of sustenance. In the past five years, venture capitalists and corporations have invested over $9.5 billion into 2,100 deals around the world — all with the aim of replacing or supplementing traditional methods of growing, manufacturing, processing and distributing the world’s food, according to data from CB Insights. The Not Company, with its headquarters twenty-two minutes from downtown Santiago in the southeastern corner of the city, may seem like an unlikely rising contender in this multi-billion dollar business of food replacement; but it’s from there that chief executive Matias Muchnick and his two co-founders are plotting to bring the potential benefits of this food revolution to Latin America — and eventually the world. For Muchnick, a serial entrepreneur, The Not Company represents his second foray into food. The chief executive previously launched Eggless, a company selling plant-based dressings and a plant-based mayonnaise. That first taste of the food business revealed to Muchnick a few things… including how basic and inefficient the research and development process was in the food industry. Initially, that was the problem that Muchnick was hoping to tackle when he set out to the University of California, Berkeley to research the industry. From Berkeley, Muchnick went to Harvard where he recruited Karim Pichara, an astrophysicist who was using data science and machine learning to explore the inner workings of stars. With the data scientist in tow, Muchnick added a third co-founder, Pablo Zamora, who had been doing research at the University of California, Davis on plant genomics. So the dream team of The Not Company was formed. At the heart of The Not Company’s work, like its incredibly well-funded, once-troubled US-based competitor Just (which was formerly known as Hampton Creek) is a machine learning technology that maps the similarities between the genetic properties of plants and their corollaries in animals. Although the three founders all came together in the US, they decided to return to their home country of Chile to start the business. For Muchnick, being based in Santiago was cheaper and the talent pool for researchers was just as strong. And the distance from Silicon Valley became a draw for some recruits. “We became these exotic guys,” he said. But the base in Santiago also plays into The Not Company’s first strategic objective, which is to dominate the Latin American market and bring healthier foods to consumers who desperately need them. Part of Muchnick’s drive to stay close to home is to fight the spread of the high calorie, low cost foods that are flooding Latin America — and transforming what it means to be undernourished in countries around the world. To understand how problems of malnutrition play out in emerging markets, it helps to look at the changing fortunes of companies like Nestle, General Mills, Pepsico and fast food purveyors like McDonalds and Yum Brands (the owners of KFC). Already nearly ubiquitous in the US and Europe, large multinational food companies are turning to emerging markets for growth, and pitching products and business models designed to appeal to low income consumers. These products are cheap, but they’re also mostly emptied of their nutritional value, so while people won’t starve, they’ll develop other health problems. Research data bears that out. According to a 2017 study from The New England Journal of Medicine, roughly 10% of the world’s population is now obese. That’s around 604 million adults and 108 million children, and these obesity rates are rising most quickly in emerging markets. Malnutrition is only one side-effect of the penetration of industrial food businesses into different geographies. As the Times notes, these companies also encourage the industrialization of their suppliers — creating incentives for large scale farming which destroys forest land. These problems aren’t confined to snack makers like Nestle or General Mills. Demand for meat for the fast food industry in these countries is leading to factory farming, which is a huge contributor to global warming. It’s these problems that companies like Muchnick’s are trying to solve — with a low cost alternative that purports to have a much lower environmental impact as well. Muchnick and his team have been developing an array of products ever since their launch in 2015. Initially, the company set out to be a research and development and licensing arm for food companies, offering them healthy alternatives to existing products. “We are a tech company, not a food company. We want to capitalize ourselves by developing products for other companies,” Muchnick told Reuters in 2016. That was when the company began feverishly experimenting with all sorts of different food products, Muchnick said. “We made mayonnaise, we made chocolate, we made milks, and meat replacements as well… Sausages and burgers, and churrasco (which is a kind of a roast beef, but worse),” says Muchnick of the early years of the company’s feverish experimentation. Finally, following in the footsteps of Hampton Creek, The Not Company decided to start with mayonnaise. Chile actually represents the third largest market for mayonnaise in the world, Muchnick said, so it made sense for the company to start there. It’s also easier to manufacture than some of the more ambitious products that the company has on its road map. Already, Muchnick says that he’s managed to capture 10% of the (admittedly small) Chilean market for mayonnaise in just 8 months in stores. 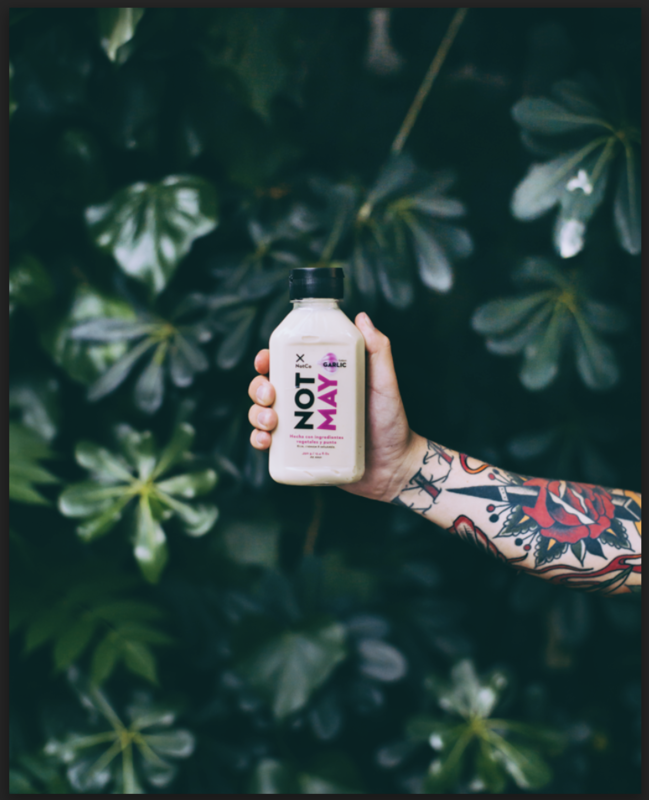 The next product on the roadmap is a milk replacement that should launch in September, with NotYogurt and Not Ice Cream coming in 2019. By 2020, The Not Company will be introducing sausages and ground meat replacements, he said. 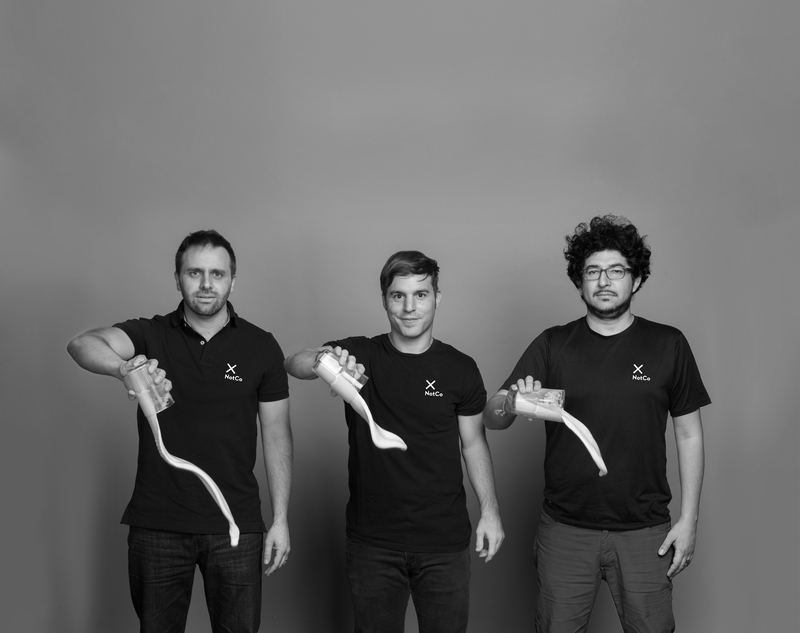 Behind all of those products is “Giuseppe”, the machine learning software that Pichara and Zamora developed to find the links between different animal and plant proteins. Giuseppe actually works across seven different databases with seven different approaches, Muchnick explained. There’s molecular data that describes the food and ingredients, spectral imaging for the food and ingredients, and then an array of data collected by the company’s in-house taste testers for things like palate, texture, aftertaste, tanginess, and acidity. “We have a lot of parameters,” says Muchnick. Now, with a product roadmap established, the company has also raised additional capital to roll out across the market — not just in Chile, but across Latin America. The Not Company recently raised $3 million from Kaszek Ventures and SOS Ventures to build out its manufacturing capacity. To do that, it needs to develop its supply chain. Already the company can produce 64 tons per month of mayonnaise, but it needs to continue to expand its production facilities as it looks to get into milk, yogurt, ice cream, and eventually meat.